1. Click on the Settings icon at the right hand side of the page. 2. Select Settings from the drop-down. 3. Click on Manage Lookup Information under Configure Database Fields. 1. From the list displayed, click on Competition Types. 2. Click Add a New Option to add a new competition type. 3.Enter the name and click Update. This will add the competition type. 1. 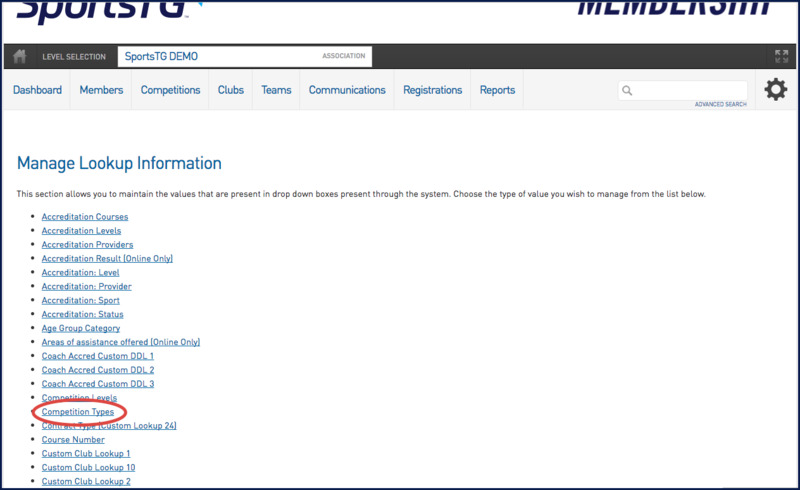 From the list displayed, click on Competition Levels. 2. Click Add a New Option. 3. Enter the name and click Update. This will add the competition level.